Detached House For Sale in Pwllheli for £259,000. There were times when it seemed as though our property would never sell, but thanks to your team, it did! A deceptively spacious four bedroom two storey family residence in a popular and convenient location to a small cul de sac in this pleasant rural village, some 2 miles inland from Abersoch. 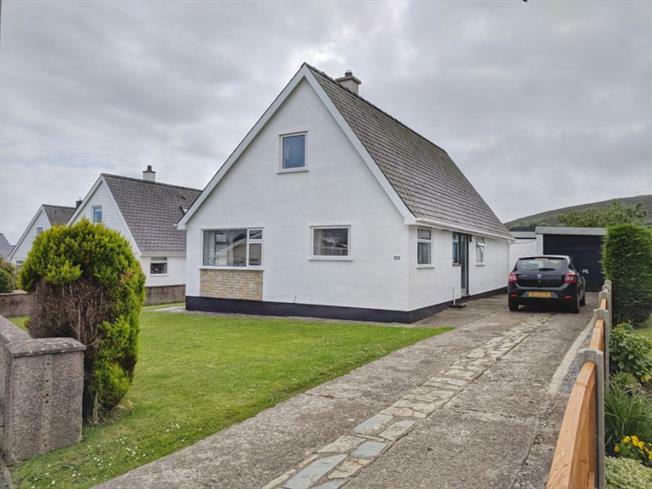 The accommodation has the benefit of oil fired central heating with entrance hall, lounge, kitchen /dining room, two bedrooms and bathroom to the ground floor.First floor landing with two further bedrooms and wash room with w.c. Long side driveway to a substantial garage. Lawned gardens to three sides. and pleasant outlook to the rear. Mynytho is well situated for travelling to all the scenic areas of the Llyn Peninsula and served by a Sub Post office/ stores, primary school, and regular bus services to the market town of Pwllheli and surrounding villages. Beresford Adams is a trading name of Countrywide Estate Agents. Registered Office: Greenwood House, 1st Floor, 91-99 New London Road, Chelmsford, Essex, CM2 0PP. Registered in England Number 00789476. Beresford Adams is a trading name of Countrywide Residential Lettings Limited, Registered Office: Greenwood House, 1st Floor, 91-99 New London Road, Chelmsford, Essex, CM2 0PP. Registered in England Number 02995024 which is an agent and subsidiary of Countrywide Estate Agents, Registered Office: Greenwood House, 1st Floor, 91-99 New London Road, Chelmsford, Essex, CM2 0PP. Registered in England Number 00789476. Countrywide Residential Lettings Limited is regulated by RICS. Countrywide Estate Agents is an appointed representative of Countrywide Principal Services Limited which is authorised and regulated by the Financial Conduct Authority.